Learn all the functions of the sewing machine including reverse stitch, tension, threading up, filling the spool, hemming and much more. Learn how to properly pin, cut and sew your own envelope pouch using a basic patten. 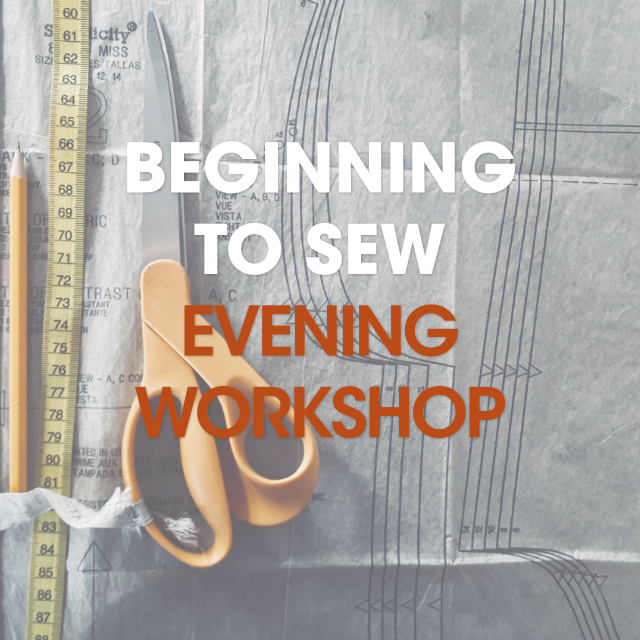 Leave with a good understanding of basic sewing and sewing machine skills as well as your own hand-made pouch. All materials are provided but you are welcome to bring your own fabric to use to make your envelope pouch. Suitable for ages 16+ absolute beginners welcome.